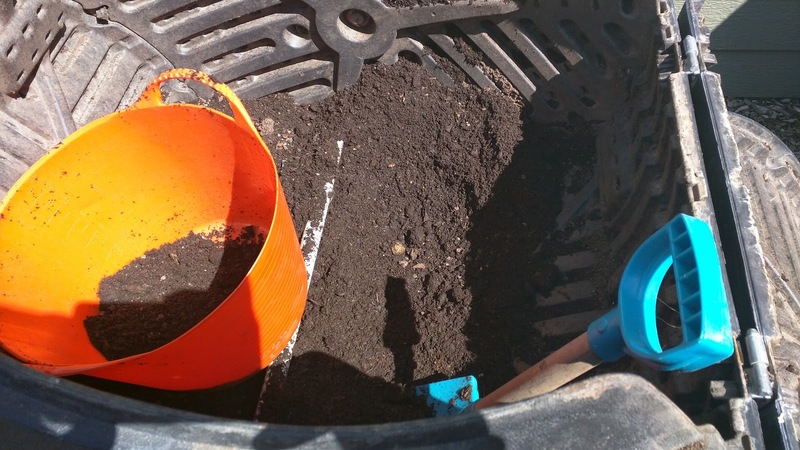 Yesterday, I opened the compost bin and found total black gold: beautiful, soft compost. I used the Babe's shovel to pull it out and piled it into the garden beds. I normally replenish the beds with a thin layer of mushroom compost and will do that this year, but because of the bin, I won't need as much. Now comes the next decision: do we fill the bin up again or should we keep it empty so we can relocate it when the time comes?